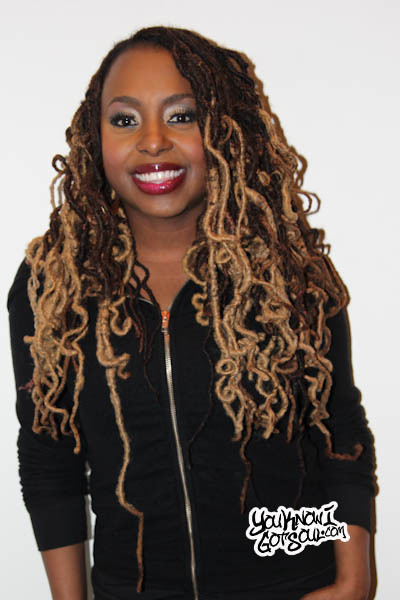 In our opinion, you won’t find many better all around artists than Ledisi in today’s r&b scene; she’s the total package. From the booming vocals, to the top notch live show, to the infectious personality, to the fully relatable music, it just doesn’t get any better. Now with her new album “The Truth” set for release early next year, she’s ready to push the bar even higher. Ledisi is already touting the album as her favorite she’s recorded, and after getting a taste during the album listening session, it’s certainly going to be hard to argue that it’s her best. 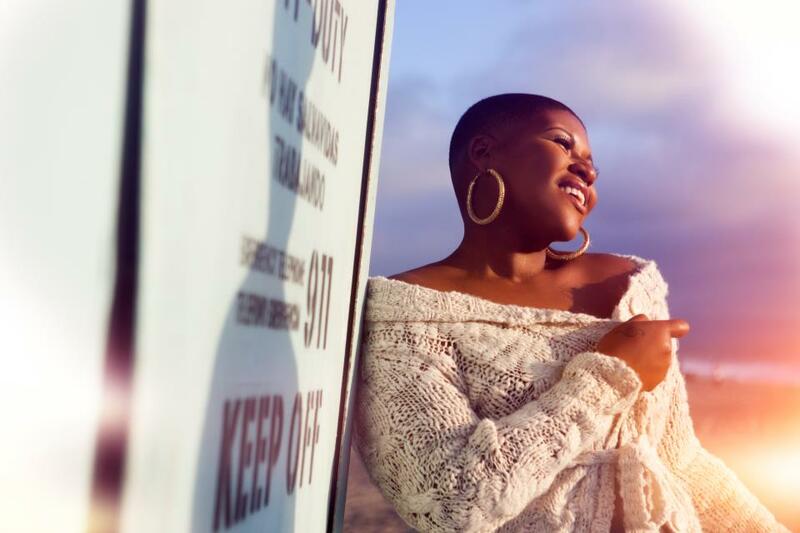 YouKnowIGotSoul had a chance to sit down with her at the listening session and discussed what made “The Truth” her most vulnerable album, making music for the grown folks and younger audience, the great place she’s at in her life, her epic Black Girls Rock performance, and more. YouKnowIGotSoul: We’re here at your listening session and you introduced us to your new album “The Truth” and told us that you’re in such a good place right now. What led you to that point in your life and career? Ledisi: What led to me to the point where I’m excited about this new album and who I am today is just defining my own lane for me and not trying to fit into a box that people put me in. I just want to sing and enjoy the music that I have. YouKnowIGotSoul: In your bio, it says this is your favorite album that you’ve ever recorded. Is it because of the place you’re in and what you’ve been able to do with this project? Ledisi: Yeah this is my favorite album. I can say that because I am in a different place. I’m happier, brighter and I love this process. I learned a lot, that’s why. I’ve learned that once you face who you are completely, it feels better and it feels lighter. I think I poured that into the songs. That’s why this album is my favorite. YouKnowIGotSoul: What are the challenges that come into pouring your all into the music? Ledisi: Wow. The challenges that come with pouring the truth into your music is that you’re more vulnerable and you’re more out there. People are out there to pick on who you are and you have no choice but to sing. I’ve always been like that, but this time it’s even more. It’s a vulnerable place. People want to know the truth, so here it is. YouKnowIGotSoul: You’ve got the lead single “I Blame You” which was written by yourself, Claude Kelly and Chuck Harmony. Was the process the same as “Pieces Of Me”? 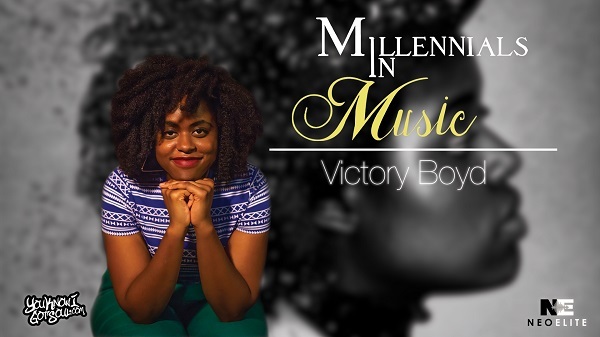 Ledisi: Yeah, it was definitely the same process as recording “Pieces Of Me” because Claude Kelly always inquire like “How are you feeling?” We get to talking and then a song comes about that fits with who I am. That’s how he likes to write and I enjoy his writing process. The first time we worked together, I had never written that deeply with somebody so this was good. It’s always good writing with Chuck Harmony and Claude Kelly. They’re fun. 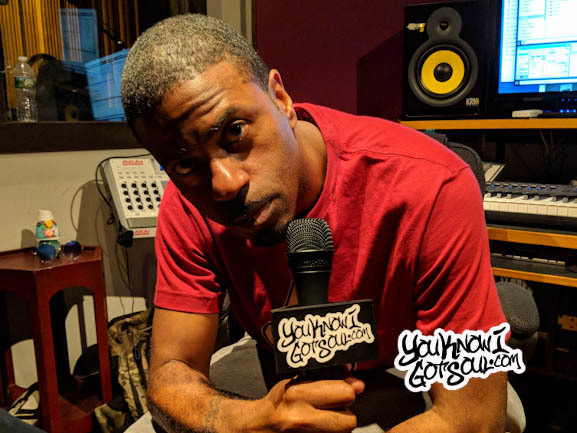 YouKnowIGotSoul: You’ve got some other producers on here like Rex Rideout, Jerry Wonda and DJ Camper. What is your process is like when you’re working with them in the studio? Do you give them ideas or do they give you ideas? Ledisi: The process is always different. I mean every producer has their own way of recording vocals, presenting music or not presenting music. Rex likes to start from scratch. Sometimes we don’t have time to start from scratch. Sometimes we don’t have time to start from scratch and he’ll have something lying around and he’ll be like “Ledisi what do you think of this?” I walked into Jerry Wonda’s studio and he had the whole track down and it blew me out of the water. Same thing with Chuck and Claude Kelly. It depends. It was difficult working with different producers because everyone had their own little thing about how they record vocals and I have my own way. *Laughs* I love learning different ways too because it makes you more of a rounded artist. YouKnowIGotSoul: You mentioned this album is not only for the grown folks, but it’s for the younger crowd as well. Did you create the music with that in mind? Ledisi: Every album I’m always focused on that after “Turn Me Loose”. That’s when it started. “Turn Me Loose” taught me that your audience isn’t just what you think it is, be broader. Every album after that, I started thinking young and old. I could see that the “Turn Me Loose” audience was very mixed and diverse. Strategically I’m always thinking about that especially with the recent projects. YouKnowIGotSoul: You touched on the Black Girls Rock performance and you got emotional talking about it. What does that moment mean for you and your career? 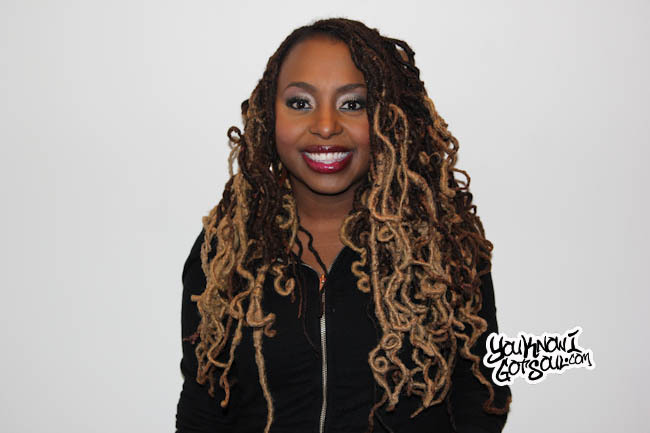 Ledisi: Black Girls Rock identified Ledisi being rebellious and not conforming to boxes and to places people put me in. It was a scary moment because you’re shaking things up without explanations. They didn’t understand or heard the truth. They always thought it was a picture or video of you in a catsuit and they’re going “What is going on with her?” That was new and without even knowing the story. I’m happy “I Blame You” video came out. It’s like I had to go my breath until you saw the whole story because the video explains my evolution. It’s funny because a lady told me I was changing and I was like “What is the Ledisi thing?” They were like “We hear you” and I was like “Do you see me ever? Do you know what my eyes, face or smile look like?” For me that was another defining moment because I was like “Yes, I need to keep growing and keep going outside the boxes that people go me in.” I love that they have me in their box, but I have to be an artist and always evolve. 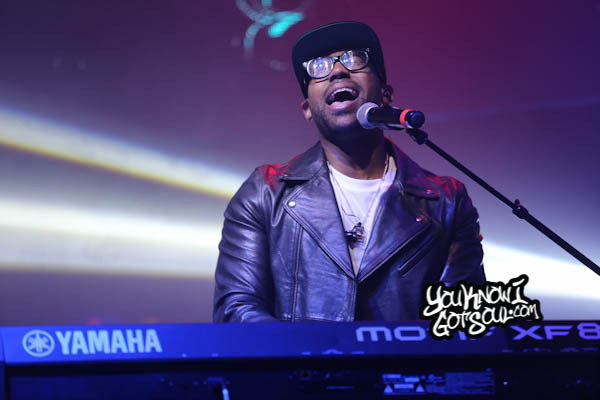 YouKnowIGotSoul: You’re one of the best performers we’ve had a chance to see live. Tell me about the work you put into your live show to make it what it is. Ledisi: I put a lot of work into live shows. We rehearse and I think we could rehearse longer but it costs a lot of money to rehearse a big band. I always want people to get a glimpse of what it’s like being me outside of being an artist. That’s why I had video last time. I wanted them to see that I knew how to move. Last show I did more fun things with the drums and megaphone, but this time we rehearsed hours and hours and studied the music to make it different. I needed to know how to fit all the songs because there are so many ballads. Everybody wants the same songs, so it’s just trying to fit all of them in one set. I’m really only supposed to have 75 minutes, but I try to do a little bit longer to fit everything in. The challenge is always how many songs do you put in with the new stuff and the old stuff. You’re always trying to introduce a new album every time. That’s why I can’t do “Turn Me Loose” over and over again. We put a lot of work and effort into it. Ledisi: I just thank you. You’re always here to support and you’re evolving me.